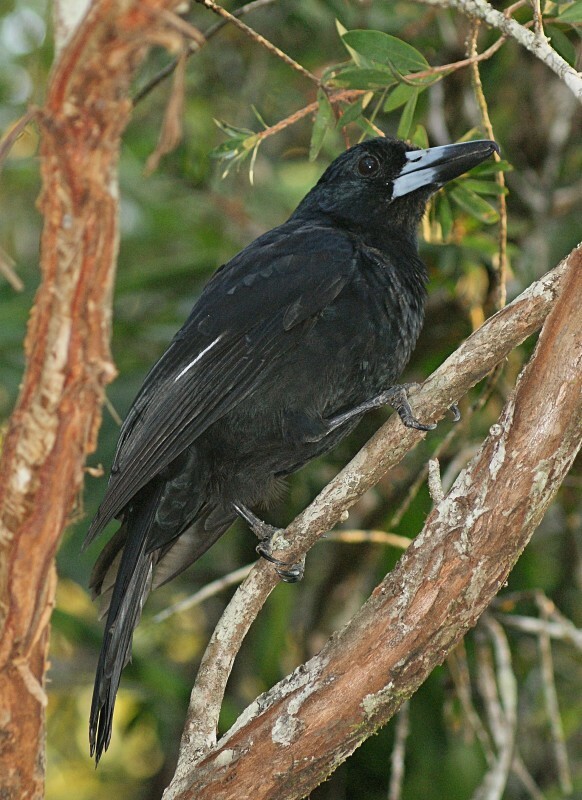 The Black Butcherbird is the largest of the butcherbirds (42-44 cm) and it is found in the north of Australia and Papua New Guinea. 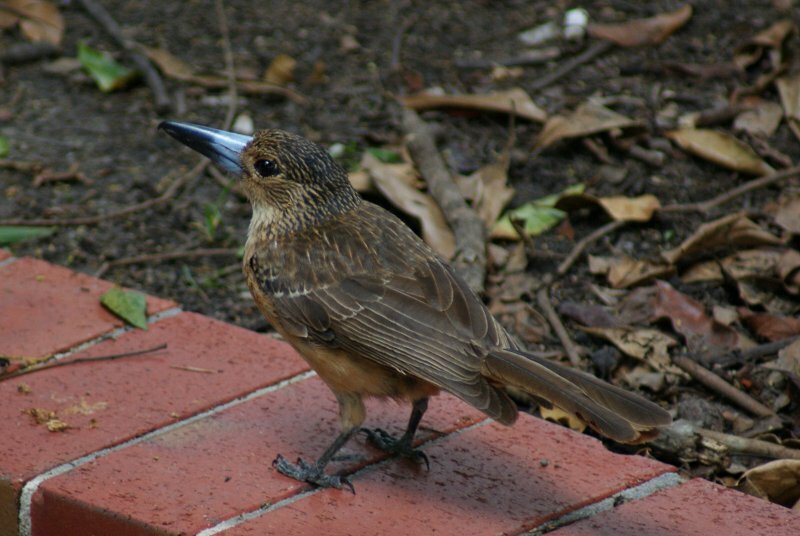 The first photo is of an adult while the second is a juvenile. There four races, all of which are found in Australia, and this one is likely of the race jardini. 1: Cassowary House, Kuranda, Qld, 14/10/2011.